I love a bit of gingham. Who doesn’t? I’ll tell you someone who really loves it is Karen from DidYouMakeThat, so much so that she’s hosting a ‘Gingham-Along’… Maybe you’ve heard about it…? The task is to make something out of gingham and post it online. I’ve got a nice bit of gingham from my (never ending) stash from LadyP. And the weather’s been boiling, so I needed a lightweight shirt to wear to work (in the obligatory black and/ or white). Perfect Gingham Project. I thought I’d made every variation of my burda 6931 shirt, but it seems there was one more left in it.. I used the line for the contrast front to cut the top-fronts, and cut the lower piece on the fold leaving out the centre front seam and placket. I left out the darts for a more casual feel & to give me a bit more space to get in & out of it. Lastly, I shortened the front hem by 2cm and added side vents. I think the front yoke on the bias looks really nice as it goes into the sleeves. 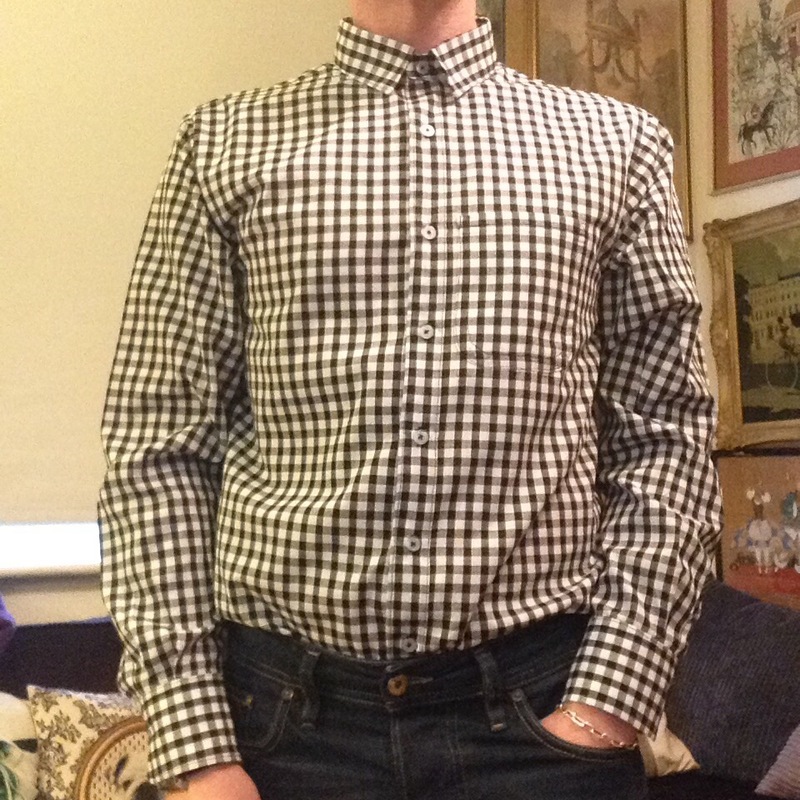 And the grandad collar was a natural choice. I’m really pleased with how it came out and I’ve had lots of wear out of it during this hot spell (summer?) in London. 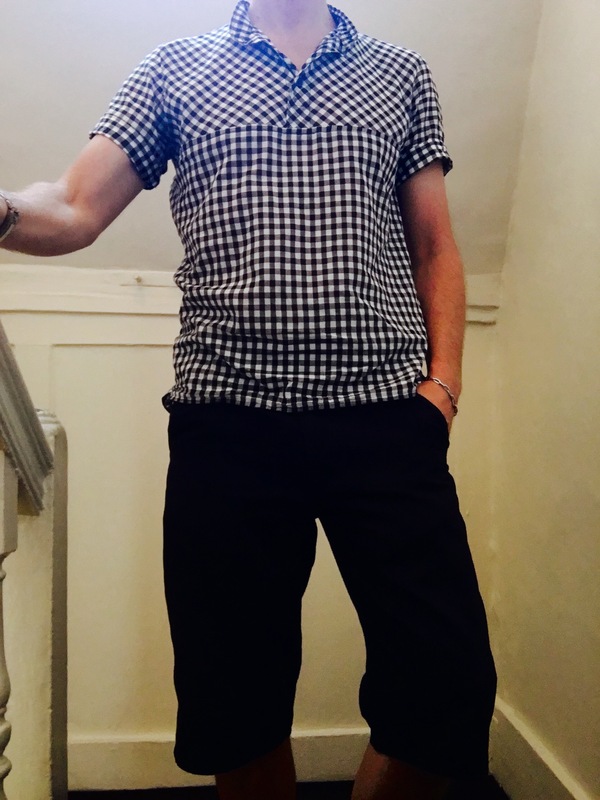 Thanks Karen for getting me into some gingham this summer! So there are my gingham makes. Thanks again to Karen for the push! Use up that ever growing fabric stash. Get a move on with the simplicity challenge! I love the bias yoke, and how that allows you to have the short front button placket. I’ll have to remember that for a future shirt. Great shirt, and thanks for the inspiration! Hi, thanks! I love this shirt. I’ve made a couple of plain ones too, depending of fabric it can look a bit ‘nurse’ but I don’t mind that either! Super shirt! Learned of your blog from the Ginghamalong and plan to be a follower! I really like your shirt, everything about it is perfect – the bias yoke, the sleeves, the collar. 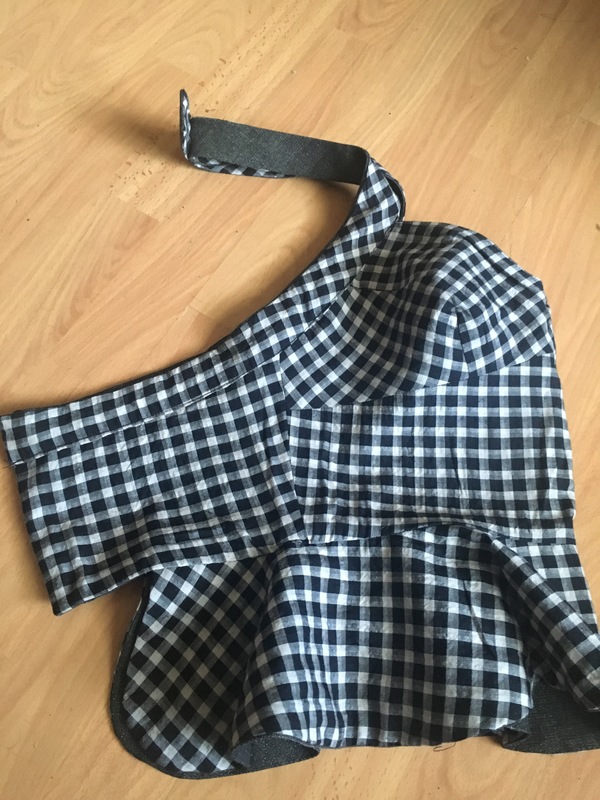 If I can find the right black-and-white gingham I think I’m going to try to make a version for myself! What is the back like? Is there also a yoke there? Hi, thank you. Yes, the back yoke is on bias too. Thank you! … I’ll look forward to seeing it! Off for a bit of fabric shopping now! Haha thank you, I hope you like them! *blush*!